Hello peeps....Playing along today at Avery Elle. I see a glass and straws and chevrons...what do you see? 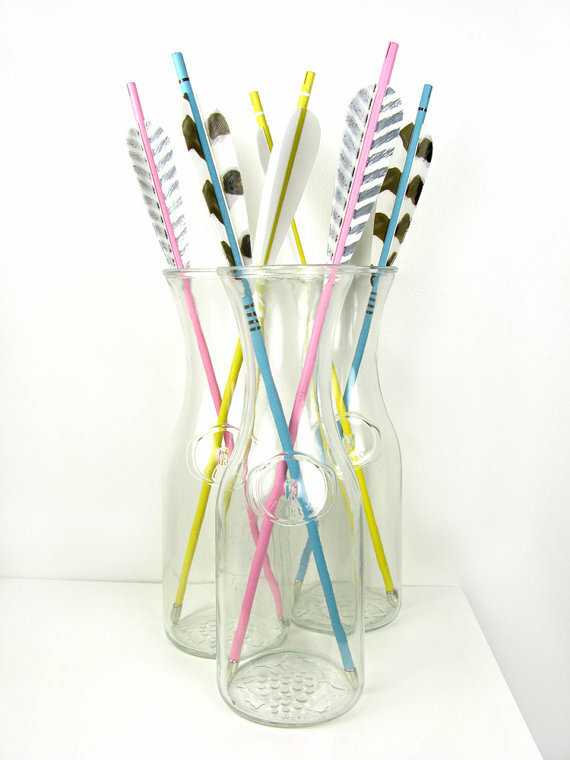 (OK, I know those are arrows, but my first thought was straws, so I went with that). 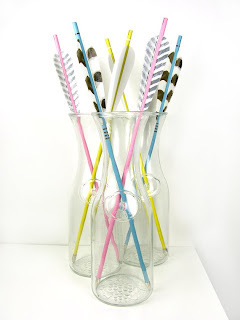 I made the straws from computer paper, inks and the heart stamps from the Lots of Love set. Sentiment is from the same stamp set. 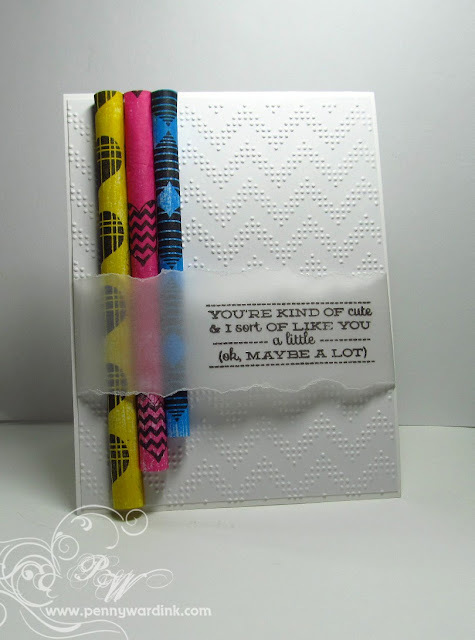 Embossing folder is Charles by Provo Craft. Hope you are inspired to play along also......go, go check it out! Now this is creativity in overdrive!! Awesome!! You never cease to amaze me. Oh my goodness--this is just wonderful, Penny! Wow! The stamped straws are just awesome!! Great take on the challenge, Penny! This is so very cool! Saw it over at the AE challenge and had to take a closer look! Great job!